WelFur is an instrumentation developed by researchers. It is used to look into the animals’ well-being in four different basic areas. Feeding, growth environment, behavior and health. 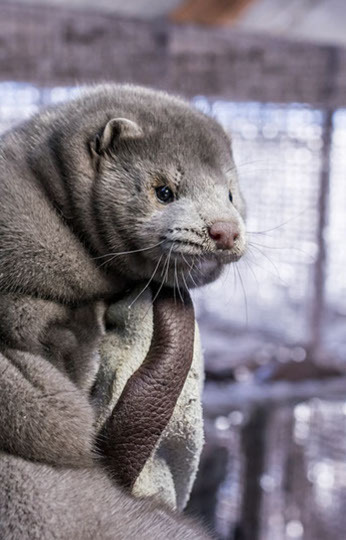 The WelFur-certification of Fur Europe, started in all of Europe, spring 2017. In Finland, WelFur will become a part of the already existing Finnish certification system, which was introduced as early as 2005. The independent and accredited company Baltic Control, handles audits. In Finland, Luova Oy is subcontractors to Baltic Control. Audits for WelFur and the certification system in Finland are handled by Luova Oy from the beginning of 2017 in January. The WelFur team at Luova consists of 10 schooled assessors at the moment. From the start of the year, i.e. during period 1, 50 farms were evaluated. The first period of evaluation ended in late February. Three evaluations are made in total, which after the farm gets a WelFur certification. The second evaluation period started in May. “The evaluations of farms have been going well so far. We have also received positive feedback about the evaluations from all the farmers, which is good for our continued work”, says Jan Segervall, chief executive at Luova. You can find the WelFur-assessors under the page “Contact”.